It’s safe to say that I have always been a big reader. I remember one particular family holiday to the Sunshine Coast when I was 12, I read 18 Sweet Valley University books over two weeks. My poor Mum couldn't keep up with buying me the next book in the series! Now as a mumma, the time I spend cuddling the poppets, watching them become engrossed in a story that I’m reading to them, is a priceless experience. On top of the sentimental value, more and more studies are proving how beneficial sharing stories with babies and young children is. In fact, research shows that children who are read to every day from an early age have extended vocabularies, increased reading readiness and improved cognitive skills when they enter school. How amazing is that! 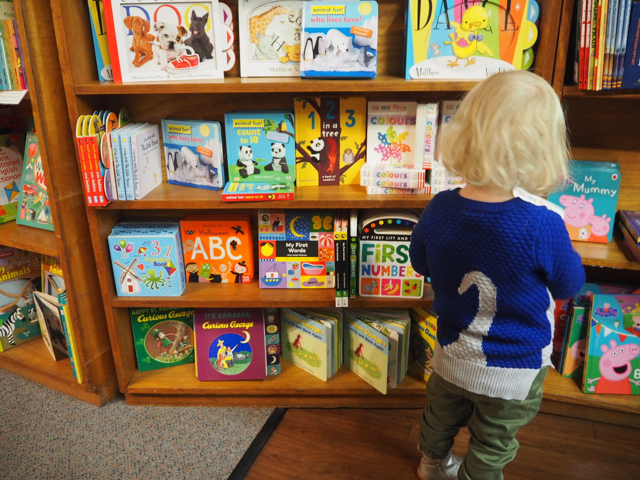 Independent children's bookshops and bookshops with large and active children's sections are thriving and do much to instil a lifelong love of books and learning in young children. The Little Bookroom in Carlton North is one of those bookshops and also happens to be the world’s oldest bookshop for children and young adults. Established by Albert Ullin, the original Bookroom opened its doors in 1960 and has moved to three different locations. It has only had three owners in its 55 years of trade and incredibly even the original shelves have made very single move! Today, The Little Bookroom co-owner and manager Leesa Lambert (alongside her parents Lesley and Ian) operates a thriving shop and events space whilst maintaining a strong online presence too. 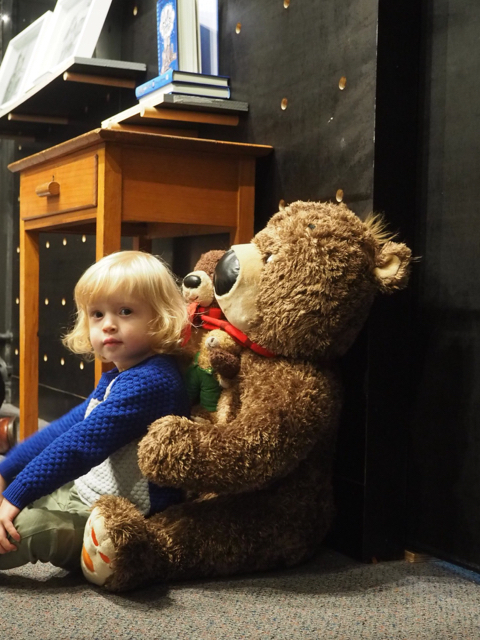 The Little Bookroom continues Ullin’s legacy as a destination bookshop and haven for children. Book launches are frequent occurrences as well as a monthly book club (for Years 4-6), storytime yoga (for 3-6 year olds) and other bookish events and workshops throughout the year. However, it’s the bi-weekly storytime that I have grown to adore and which the poppets absolutely love. Held every Thursday and Friday from 1030am, toddlers, preschoolers and babies are invited to join Leesa for a fabulous hour of songs, stories and rhymes. The poppets love playing with the Brio train table at the rear of the store before the session begins and having cuddles with “Hugless Douglass” the teddy bear (named after a series of books by David Melling). Once the toys are packed away, the little ones are quick to secure their spot on the ‘special rug’ ready to watch and listen, sing and dance and shake and jingle the maracas, egg shakers and bells that come out from the magic cupboard too. With window installations that change regularly and a shelves that are jam packed full of beautiful children’s books (plus some adult ones too) it’s hard not to pick up a new addition for your collection at home or a present for an upcoming birthday on your way out. 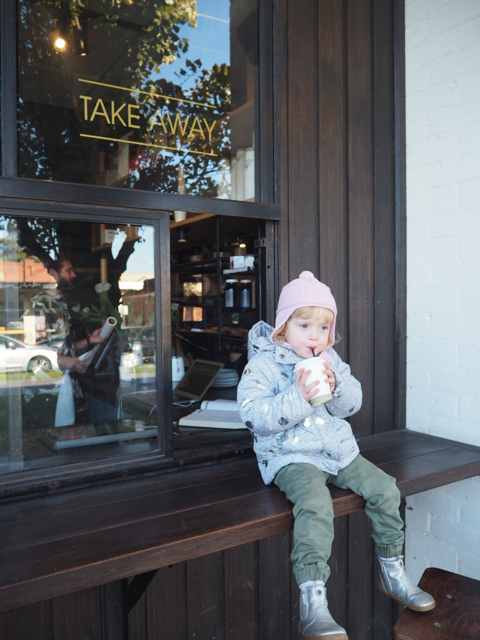 Be sure to pop into one of the family friendly cafes close by before or after your visit too, Birdie Num Nums and Green Park Dining are both perfect for little ones. Plus there is a newly renovated playground next to Green Park Dining that the poppets love, just keep a close eye out around the swings which are located right in the middle of the playground and have proven to be problematic given their central position. 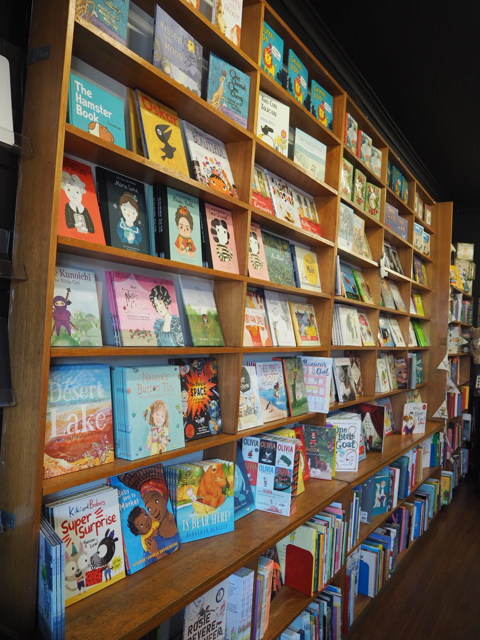 The Little Bookroom is a must visit bookshop for picture-book-loving toddlers to young readers and BIG kids too! The contribution that Leesa and her team make to the world of children’s literature by connecting with families and book lovers and sharing their expertise is very rare and we are lucky to have such a gem in the Melbourne community. To find out more information, Storytime schedules and school holiday activities taking place at the Little Bookroom, head to their website.